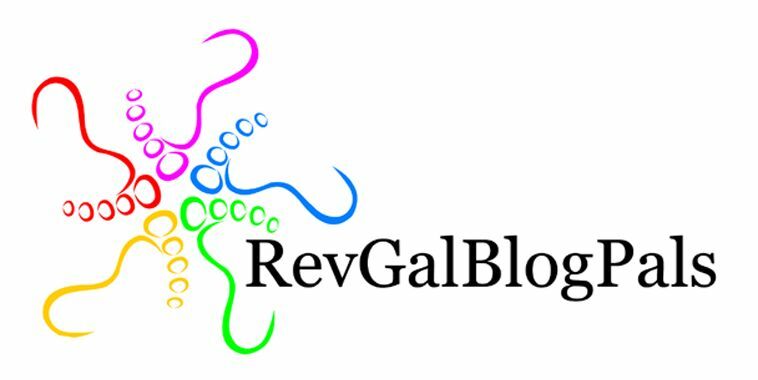 I’ve been surfing all kinds of blogs lately, looking for good ideas to help me through the May WordCount Blogathon. I ran across one I absolutely love – Ramblings and Photos, by Ashley Sisk. It was here that I found the Sunday Scavenger Hunt. Each week she posts five theme words/phrases. Your job, should you choose to accept, is to take a photo for each of the five theme words. I’ve always loved photography, so this is the kind of challenge I like. 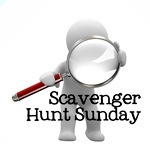 Participants are encouraged to use new photos for the scavenger hunt, although it is acceptable to sometimes use an archived photo. Since I didn’t discover this site until Saturday, three of my five photos are from the archives this week. I’ll try to do better next week. There in the shadows of the potted plants (outside of the Hess gas station, believe it or not!) lies another treasure: a shiny penny – heads up! I am so fortunate to live this close to inspirational sights like this one. There is no beauty quite like the beauty of the seashore. This picture was taken back during the winter on a sunset walk on the Isle of Palms. Sunrise, sunset: they mark our time with comforting predictability and beauty. 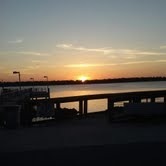 This picture was taken at Riverfront Park on the Cooper River at our Easter Sunrise Service this year. 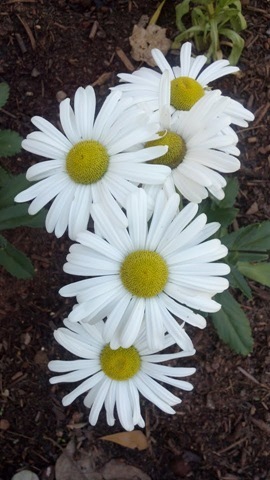 A burst of springtime beauty found in a bunch of daisies, also at Riverfront Park. I’ve yet to be able to look at daisies and not smile! 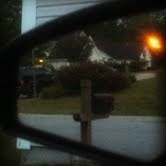 This is what caught my eye in my side view mirror when the kids and I returned home from eating supper. It looks like a fireball is behind my neighbor’s house. While it appears to be the setting sun, it’s actually light from a lamppost in their yard. Love this idea. A writer and photographer-very cool. I hope you will do this one again. Great pictures. I’m looking forward to seeing more of your photos! I’m so excited to be able to participate in such a cool project! Thanks for dropping by. Those are my favorites, too! I have to admit – it’s the setting, not the photographer! There is beauty all around me. Nicely done – really like inspiring. Ashley, I love this idea! I am just the most amateur of photographers, but I love the way I see the world when I’m thinking about trying to capture it on camera. This is a perfect motivation to do it more often! Beautiful photos. Especially your close up. You must be a daisy lover, too! Thank you for dropping by!